Trying to estimate and budget the amount of paint you need for your painting project? Let our Paint Calculator give you a hand. Having a hard time choosing paint colors? No worries. Mix & Match™ is here to help you decide on the best paint color combinations. 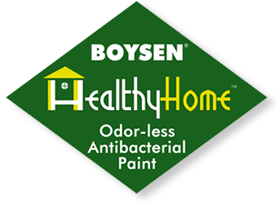 From paint color to decors, let BOYSEN® help you turn your house into happy and healthy home.